What's new in AudioConverter Studio X? [!] New user interface. Faster access to important options, quicker conversion. [!] Trial version limitations changed. [!] Support for CUE sheets. Now it is possible to convert individual tracks of a big file using information from CUE. [+] Easier to select WMA settings, support for 5.1 and 7.1 files (6 and 8 audio channels). [+] Improved support for OGG VBR files. [+] Improved selection of OGG bitrate / frequency / channels settings. [+] Better support for WMA tags. [+] Improved support for FLAC files, including high-frequency (like 96 KHz) files. [+] Added an option to replace an existing file, if it has the same name as the converted one. [*] The option of creating playlists is now disabled by default. You can enable it in the settings window. [*] Adjusted default permissions for files that are converted to the user profile folder. [-] Fixed an issue with the background conversion mode. [-] Fixed conversion from playlists. 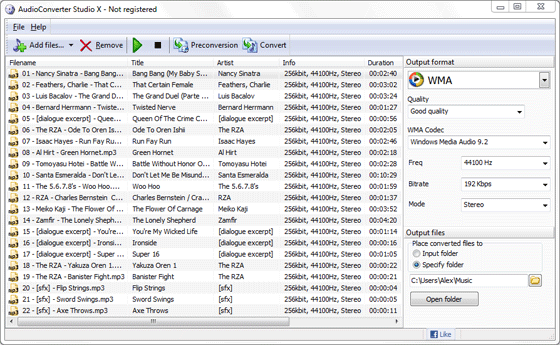 [-] Fixed saving the same set of tags to all files when converting MP3 to MP3 (changing MP3 bitrate). [-] Fixed playback of the last track of an Audio CD. [-] Fixed the total progress bar when converting a big number of files. [-] Fixed deleting source files after conversion if the corresponding option is selected in the settings. 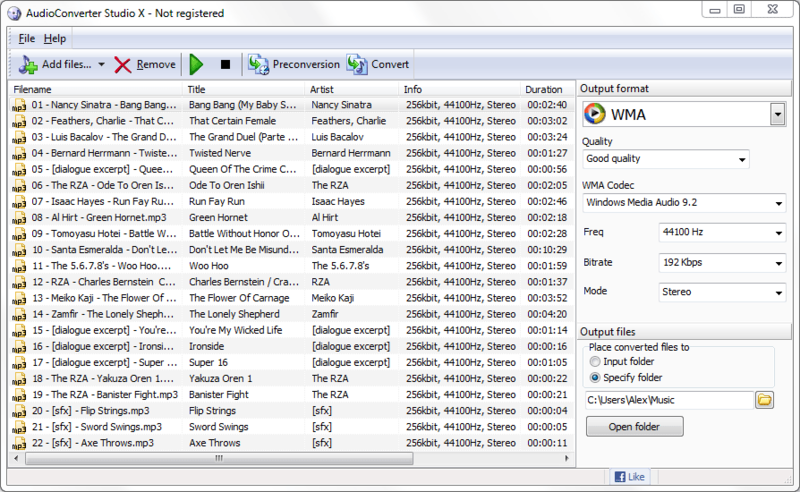 [-] Fixed saving tag information when converting FLAC to APE. [-] Release source files immediately after conversion.